Now that you have been introduced to the Sale Arts Trail organisers the next Q&A’s will be from some of the exhibitors from the Christmas Bazaar taking place on Sunday 23rd November. 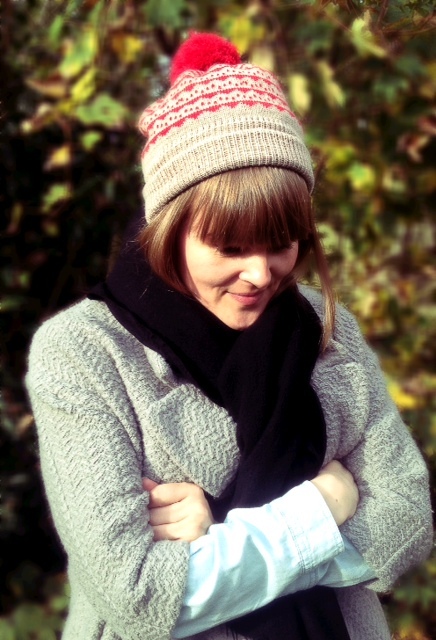 I design and make knitwear products, predominantly winter accessories especially bobble hats! 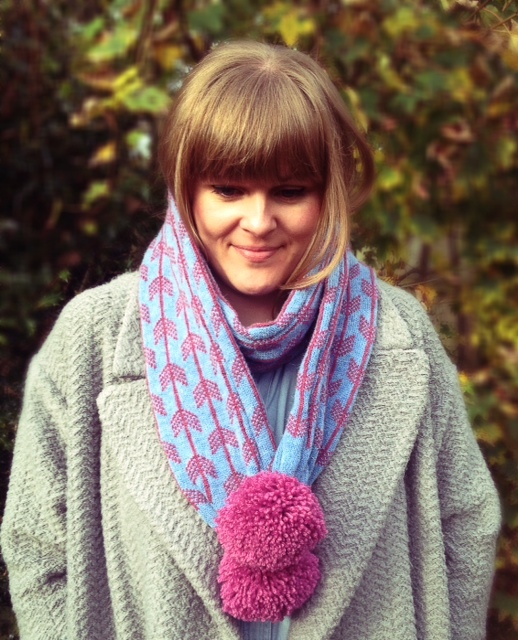 I tend to work with pure wool, lambswool, merino and occasionally angora, alpaca and cashmere. 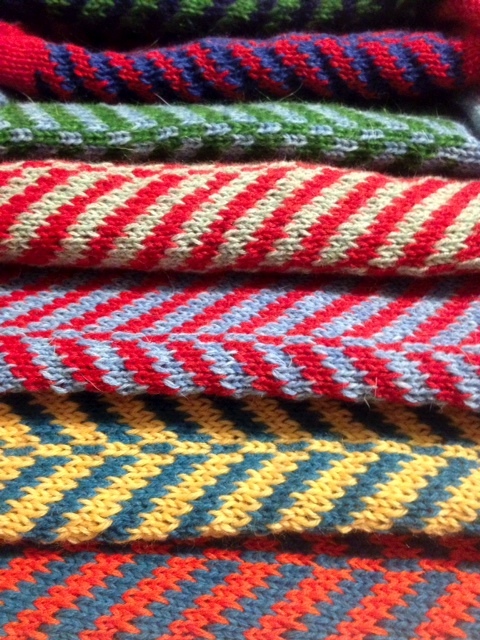 I use an old brother domestic knitting machine and hand punch all my designs from my drawings. When I was little I was more interested in photography especially photographers like Ansel Adams and Henri Cartier-Bresson. I love sculpture too and I’m a big fan of Jaume plensa, Marc Quinn, Anish Kapoor and many more. I’ve also always coveted a pair of Christian Laboutain shoes! Where is your studio? Pictures? 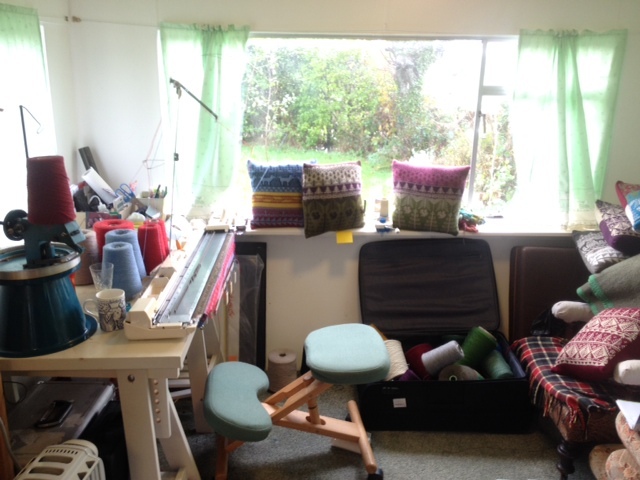 I’m currently working for the metalwork artist Junko Mori in North Wales so I’ve set up a little studio space in their caravan. Back home I’m based at Islington mill in Salford. Pop kettle on, drink lots of tea, knit like crazy. Not really anything unusual although I’ve had quite a few commissions recently as it’s getting colder! It’s mostly stock building for all the Christmas markets. 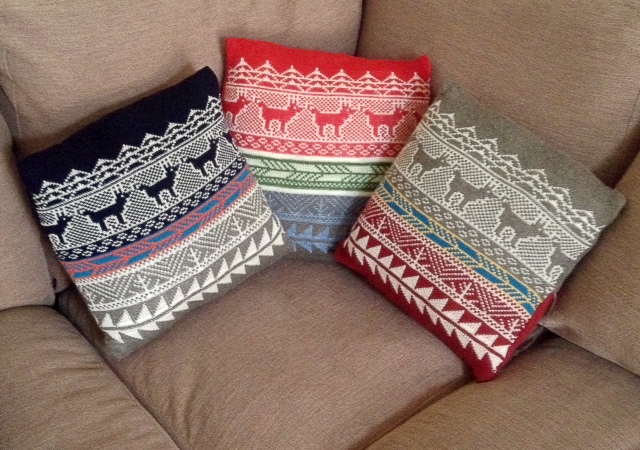 I’m selling bobble hats, beanies, arm warmers, scarves, and a collection of cushions that are brand new this year. I originally trained as a silversmith but a couple of years ago I was given a knitting machine and taught myself to use it, there’s still a lot to learn! !